Welcome!  Use our storymaps and find the Digital Health solution most suitable for you provided by startups and other players globally! Based on a disruptive nanotechnology, Abionic is committed to improving the world of diagnostics through innovation by providing a rapid quantitative platform to healthcare experts. AiCure uses artificial intelligence to visually confirm medication ingestion. The clinically-validated platform works on smartphones to reduce risk and optimize patient behavior. Akili is in the process of building clinically-validated cognitive therapeutics, assessments, and diagnostics that look and feel like high-quality video games. Kardia provides the easiest way to detect possible atrial fibrillation early and reduce your risk of stroke so you can live life with confidence. amblyoplayTM is a therapy for children with amblyopia (lazy eye), which is performed using red / green filter glasses. Through games child performs this binocular therapy, trains his lazy eye and ensures wholesome development of good vision. Master your blood pressure. With Amicomed, the first certified service to manage your blood pressure. Ava shows you who says what. Enjoy 24/7 access to conversations around you. A daily guide to your body and your baby-on-the-way. Hand-picked doctors, supported by cutting edge technology. Babylon Health is a digital healthcare application that enables users to talk to a doctor or GP within minutes and get medical advice via video consultations, phone calls, or text messages. Only Baze measures your actual nutrient levels and provides you with the highest-quality supplements tailored to your body’s needs. BSI deploys a unique and protected protein epitome profiling technology platform for the discovery and development of disease specific plasma protein epitope panels. Monitoring in motion: Vital signs. Medical grade. Anywhere. All the time. BOCAhealth: track body water and prevent decompensation events everywhere. An Extraordinary Evolution In Emergency Medicine. Our tele-EM platform puts patients and physicians on the same page. With the whole story, we practice acute care with compassion. Capsule is the pharmacy that comes to you. It delivers your medication whenever you need it, anywhere in New York City. Capsule is always free, and your copay will not change. An innovative cardiology service keeping you in contact with your cardiologist 24h a day. Register your ECG, save it in your personal health record and get immediately in contact with a specialist from our team. Chrono is building a next generation transdermal drug delivery wearable that integrates biologically-timed drug delivery with personalized digital support to help people manage hard to treat conditions and achieve optimal clinical outcomes and lifestyle improvements. Rain is currently China's largest physician-patient communication platform. We are committed to the people to provide better quality, economical, and convenient health services. Build your career. Get in shape. Learn a new skill. Our free App helps you track your personal improvement toward goals. At Cohero Health, we're transforming respiratory care through smart mobile devices. CoheroHealt empowers respiratory patients to actively engage in their own care. Our sensor-based technology and engaging platform improve medication adherence and care coordination between patients and their care providers. Cupris turns smartphones into medical devices using patent-pending clip-on attachments. Cupris makes healthcare provision faster, cheaper and more accessible for all. More convenient than an ophthalmoscope and patient-friendly, D-EYE captures a lasting image and connects the care team, wherever they they are. The innovative D-EYE Portable Retinal Imaging System easily attaches to a smartphone creating a handheld direct ophthalmoscope for vision care screening and evaluation. Dacadoo combines mobile technologies, social, gamification and big data analytics with the aim of improving health and well-being. Doctor On Demand is a healthcare service that provides video visits with board-certified physicians via smartphones, tablets, and desktop computers. A Doctor that is with you always - everyday. A complete online exam. All you need is 20 minutes, a computer and a smartphone. Test results are verified by registered optometrists or ophthalmologists. The instructions are then delivered digitally. This saves waiting times, travel and costs. Easee uses innovative, patent pending technology to provide an accurate, trustworthy prescription and it is officially certified as a CE Class 1 Medical device. Eko is building the future of cardiovascular care through a platform of non-invasive devices and revolutionary algorithms. Your most personal trainer. Elvie guides, corrects and visualises your kegel exercises in real time. Endotronix creates digital health solutions that will enhance the quality of life, improve outcomes, and lower costs, especially for the 20 million people worldwide who suffer from congestive heart failure. This set of professional mobile applications allows to identify and monitor the most common problems. FareWell is a physician-led program that helps you restore health by making lasting changes to your diet and lifestyle. FiNC combines data analysis, rich content & social elements to help users log, understand, manage and improve their health & wellness. An effective and minimally invasive tool to take care of your loved ones wherever you are, reducing the time required in care. Grassp technology gives Patients the power to connect with top tier Service Providers that deliver premium Medical Cannabis on-demand, while providing a guided path to achieving the best experience possible. Play.Care is the first tablet-based technology that detects early signs of autism in children ages 2-5 through games. Heal wants to be your family’s first choice for healthcare. When you’re sick or when you’re well, Heal was created to make it easy and affordable to see a great doctor on your schedule. HeartWatch detects potential heart and respiratory problems just by using a camera that looks at a person's face. The simplest way to monitor blood pressure & understand your health. The UK's leading provider of live online one-to-one Cognitive Behavioural Therapy. Infermedica collects, analyzes and uses medical knowledge to ask diagnostic questions to unmask your patients' conditions. It is a powerful AI-based symptom checker platform, which allows for accurate patient triage, symptom analysis and exchanging patient information with clinical staff for further diagnostic support. Our diagnostic technology can be easily accessed through Infermedica API to analyze patient's data and compute clinical recommendations including alerts on likely diagnoses, suggested symptoms to verify or lab tests to order. Discover new ways to get fit, lose weight and stay active. Jawbone helps you form healthier habits and achieve your fitness goals. Keleya is an application platform and well-being coach for pregnant women with focus on exercise and nutrition. The Kinsa thermometers support you from the first sign of illness through recovery and beyond by focusing on what’s most important - what to do next. Kito is a health tracker. It cleverly conceals special sensors within an iPhone case so that you are able to measure your body vitals with ease and accuracy, where ever you may be. Sexual health testing from the comfort of home. Your health in your hand. LifeTime lets you keep track of all your medical files on your smartphone. Livongo is a consumer digital health company that empowers people with chronic conditions to live a better life. Livongo has developed a completely new approach for diabetes management that combines the latest technology with coaching. Lucina harnesses the power of aggregated data and deep obstetrics analytics to help reduce preterm birth in our community. Lumeon is a digital health company providing care pathway management solutions to the healthcare industry. LumiraDx helps achieve better health care, social care, and financial outcomes, affordably, in the here and now. The small, but powerful change agent you need for better posture, improved health and transformed Appearance. Lumosity is a leader in the science of brain training. Enjoy games and tools developed by a team of neuroscientists. Get your personalized training program today. Lyra's mission is to transform behavioral health care through technology with a human touch, and to help people feel emotionally healthy at work and at home. Virtual Care, anywhere. 24/7/365 access to board certified doctors, pediatricians and therapists. Meadow is a place where patients can buy medical marijuana from local dispensaries and receive delivery in an hour or less. Medicinisto is the novel business platform for exchanging medical expertise. We enable open and easy collaboration to accelerate medical progress connecting medical expertise with the healthcare industry and viceversa. Get on top of your meds so you can live your life. Health information, personalized. For people diagnosed with serious/chronic illness - personalized, latest, trusted, health information that matters to them. Including personalized treatment options, latest research, clinical trials, guidelines, and more. MedMen Enterprises is the United States' best marijuana dispensary with multiple assets and operations in California, Nevada and New York. Combined, these key strategic states account for nearly half of North America's addressable legal market. MedMen owns and operates licensed cannabis facilities in cultivation, manufacturing and retail, and is the most recognized cannabis brand in the world today. MeeDoc connects patients & doctors seamlessly with a simple App. Meiyou provides menstrual period prediction, female health analysis, and individualized tips. It also supports pregnancy mode and provides customized services including beauty, fitness, and good health. Mementor somnium is an online training developed by sleep researchers that will help you to sleep better. AMBOSS is a breakthrough learning and knowledge system for medical students and physicians. We are driven to create valuable products for a healthier, more empowered and informed user. Combining scientific knowledge with a profound understanding of design, we build smartphone-based tools for people to hear better. To bring wellness and advancement to everyone, one moovment at a time. We believe our mission requires a breakthrough of seamless integration in technology, design and sports science. Lose Weight with MyFitnessPal. The fastest, easiest to use calorie counter App. MyHealth24Seven offers a new and proven, IT-based health service developed in UK and US which recommends if self-care at home suffices, if you need to consult a doctor or in rare cases call for an ambulance. RemoteQare™ can be accessed from your computer, tablet or mobile phone. With the RemoteQare™, you can avoid unnecessary stays in waiting rooms at hospitals or outpatient clinics. However, if there is a wish to meet a doctor so we offer this either through regular visits to the healthcare establishment or if desired at a distance. Faster than Speedy Gonzales, more funny than Charlie Chaplin and more useful than your swiss pocket knife. Our diabetes Apps - Diary, Importer, Quiz and Junior - help you with your daily diabetes management. The Fitness-Center for your brain. NeuroNation is the gym for your brain - developed by German Scientists. The cancer clinic at your fingertips. The smart medical companion for expectant mothers. It tracks pregnancy related conditions and tells you when a situation requires medical attention. We’re using technology and design to make healthcare simple, intuitive, and human. In other words, the kind of healthcare we want for ourselves. The Smart Sock 2 uses pulse oximetry to measure your infant's heart rate and oxygens levels while they sleep. This information is communicated to your phone via a base station that is designed to notify you with lights and sounds if something doesn't appear to be just right with your baby. eFORMULATION™ is a digital application designed to enhance the efficacy of a medication, for enhanced clinical outcomes. Pharmap is the new application that allows you to keep your pharmacy in your pocket, allowing you to request the purchase of any product directly from your mobile phone. Your medications, sorted and delivered to your door. PillPack packages prescriptions and OTCs by the dose. Each packet is labeled with the date and time based on when you take them. State of the heart technology. Qardio offers a better way of tracking health that fits effortlessly into your life. Our clinically-validated devices are powerful and smart, and have a beautiful design, a delightful user experience and can be used anytime, anywhere. Qunomedical is an online platform that provides its clients with a range of medical services. The platform’s range of treatments include dentistry, plastic surgery, ophthalmology, orthopedics, reproductive medicine, and weight loss surgery. The platform enables its users to search for hospitals based on the treatment required. Once selected, its users can obtain quotes from the hospital of their choice. Everyone. Every run. Join the running community that helps people get out the door and stick with running forever. Your personal abs trainer for your pocket. Define yourself & strengthen your core - anytime, anywhere. Selfapy is a successfull tool for therapy support and it helps to recognize negative patterns of thought and train new behavior. Sensely is an avatar-based, empathy-driven clinical platform that helps clinicians and patients better monitor and manage their health. Take a picture, Analyse, Track changes. Check any mole for skin cancer risk. Improve your sleep with proven techniques developed from over 35 years of research. Smartphone and tablet application for basic eye screening for professional use, which includes 5 standardised methods of eye examination. The smart way to beat stress at work. Pulmawear is a wearable asthma monitoring device and companion application which provides asthmatics with real-time symptoms monitoring, medication tracking, and personalized analytics to improve self management. Sweetch was developed as a platform for any large-scale clinical outcome prediction, and personalized, data-driven, wellness prevention intervention in the most cost-effective patients. Diabetes is our first use case. We created the first - scalable - digital therapy solution that addresses the growing demand for physical therapy while reducing costs, maximizing efficacy and ensuring accountability. Symptoma facilitates a search engine that enables physicians to search and find information related to diseases according to its symptoms. It enables them to find further symptoms, lab results, diagnostic test results, and complications related to diseases. Teladoc provides quality medical care when and where you need it. The Mindfulness App is the perfect tool for anyone looking to improve mental health and overall wellbeing. Practice Surgery anytime, anywhere. Touch Surgery Empowers and Connects the Global Surgical Community. Treat Systems develops advanced decision support that unifies technology and Antimicrobial Stewardship. Trialbee provides innovative software solutions that optimize the clinical trial process by enabling all stakeholders to easily communicate and collaborate on a joint platform. Twine revolutionizes care team collaboration, in and out of the office, delivering unparalleled health outcomes with fewer visits. UpSurgeOn is an Italian company born in 2015 with the aim of fostering and speeding up both the learning of neurosurgery and, above all, the scientific update of who practices it, therefore it has a double target: students and neurosurgeons (specializing and specialists). We offer 2 libraries: upsurgeon.com/theory is theoretical, whilst AppSurgeOn is a library of mobile Apps. Health and wellness videos for patients and healthcare professionals in any language. Voluntis is a healthcare software company specialized in Patient Relationship Management (PRM). Their mission is to enable healthcare organizations to deliver outstanding patient monitoring and support services through the use of advanced information and communication technologies. A cloud platform, mobile and web, aimed to support the human e-health; the user can document his medical life and monitoring his health with a dynamic and simple approach. A customizable NFC bracelet can be connected to the platform and activate additional emergency services. Our mobile technology bridges the support gap for people and providers to help manage type 2 diabetes between office visits and enhance the physician-patient relationship to drive outcomes. Smarter solutions for a healthier workplace. Yoga that fits around your life. Take control of your health. Your.MD gives you personal, trusted and actionable information – instantly. Zipdrug is a proprietary medication delivery platform that helps health plans manage medication adherence and cost.